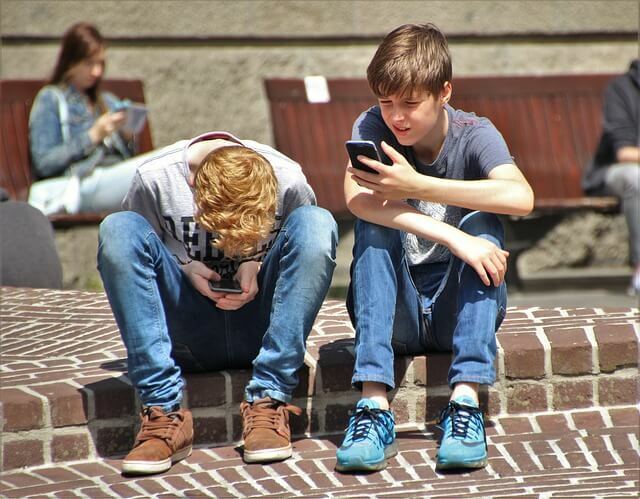 In many homes there are many children who are denying putting down their phones is a common flashpoint. 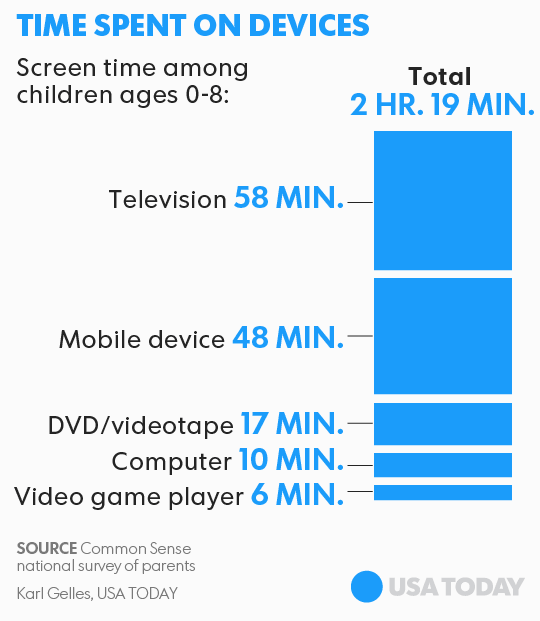 It has also been proved in the various studies who are admitting that the kids do not have a good balance between screen time and other activities. Most of the kids today are spending an exorbitant amount of time using electronic gadgets which is affecting the versatile growth of every tech user’s child so the technology addiction has now become a real concern for the parents towards their growth. On October 2017 USA Today reported that kids are spending more times staring at phones & tablets than before. I usually use my smartphone for both work and entertainment purpose. Most of the times, I can’t be left it out because this has now become an essential part for our daily life whether it is to contact my relatives or my husband or the use for my entertainment purpose or the use for our social media connectivity. I have a 16-month-old son that takes the baby monitor, holds it in his hands, and peers at it like it is a smartphone. Is it the cutest thing/ most pathetic? Probably, the cutest thing but after some years it becomes a serious thing when the kids get addicted to the smartphones and other electronic devices. I think for this serious activity for we all parents are responsible that can’t restrict the use of these devices for our pleasure. So, I would recommend following these Parental controls and Monitoring. Though, electronic devices keep us connected, informed as well as engaged. But there are few places we have select in our homes like, during meal-time, bed-times and even in the study room we need to just say no to use these gadgets. It will also set an important example for our kids to keep away from these devices because most of the times kids complain about the time that their parents spend on their phones and other gadgets. So, if we don’t draw the line on our own phone use, then kids will also start the use of these devices and hence they overuse these devices. So, creating some no-phone zones is key to keep away the children from these devices. To do it effectively, first reduce the length of your data pack so that you may not get engaged on the mobile phone all the time. Doing this, you will also tend to turn off your Wi-Fi all the time by which your kids easily access the other mobile and gadgets available in your home. This is a very important activity that should be done in your home. It means that you have to make your home education optimize by which your children will get a great inspirational environment to scale up the level of their education. Create a Tech-Free family zone during the mealtime, near your children’s bedrooms and other social gatherings during the day screen free will help your children to get rid of addiction to mobile and other gadgets drastically. Also, turn off your televisions if you aren’t watching, because background TV can get in the way of face-to-face time with kids. These changes will encourage you to healthier eating habits, and better sleep, which all are critical for children’s wellness. If you are on a short trip then make sure that your phone must not be in your hand, leave your phone in your home, or in the car, or in your pocket. Don’t keep your phone in your hand if you’re waiting for someone or waiting in a restaurant or in line because your phone may be taken by your children during this period. If there is a necessity to use the electronic gadgets for making the project given by the school or watching any tutorial videos then allow them only to access those. You should be proactive to make the list of kids that they can watch for a limited period. Even after setting boundaries, there is the thing that can slip out as parents are working and most of the times are away from home. So to keep a complete eye on the kinds and also for your convenience, use TiSpy.net parental control software that can help you in getting rid of the concern to take care the children whether they are using the mobile phone and other electronic gadgets or not and what they are performing in those devices. TiSpy.net is a vital tool to get rid of the addiction to the overuse of the electronic gadgets by your kids. TiSPY can track almost all social media channels including Skype, Google Hangouts, Snapchat, We Chat, WhatsApp, Tinder, Facebook, Messenger etc. TiSPY can track the current location of your kid’s device as well. TiSPY can also block malicious application, can see browser history, block websites etc. Thus TiSPY offers the world’s foremost phone monitoring application that is designed to help you in ensuring the safety of the smartphone of your child’s and yours too.